The name Benagh is marked on the OS 6 map. 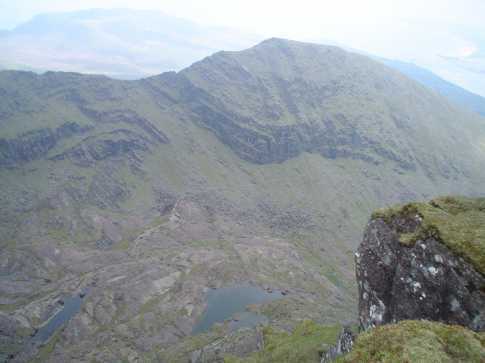 An Fhaiche / Faha is the name of the townland in which this peak is situated. The grotto at which the traditional ascent of the mountain begins is further down in the same townland. The walls E of the summit were identified as the remains of an inland promontory fort by archaeologist Barry Raftery. For information on this fort, see Archaeology Ireland Heritage Guide No. 29 (published March 2005). Previously Brandon Mtn East Top in MV. Benagh is the 32nd highest place in Ireland.